help students write good historical essays. The reader should know exactly what to expect in the body of your essay. You are setting the stage for your essay - save your evidence for the body paragraphs. Each body paragraph should have a specific purpose that is revealed in your topic sentence (first sentence of the paragraph). Everything in the paragraph should serve this purpose. Remember that it is possible to use too much evidence. A paragraph only needs one or two well-developed pieces of evidence in order to help you make your point. Too many pieces of evidence can "crowd out" your analysis, which is the most important part of the paragraph (anyone can find evidence, but it takes critical thinking to interpret evidence and make it serve one's purpose. It is absolutely critical that you cite your sources in order to give people proper credit for their ideas and to avoid charges of plagiarism. However, keep in mind that common knowledge (simple factual information that you can find on several websites) does not need to be cited. However, this DOES NOT give a student license to copy and paste from internet websites. Common knowledge should be incorporated into your essay in a way that makes an original point in an original way. Students have the option to submit essays via Google Drive. 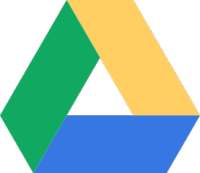 Please press the appropriate link to access the Google Drive folder for your class. NOTE: In order to see the folder, you must be logged into the Google account that I have on file.